The weather in south-central PA has been great for our garden. 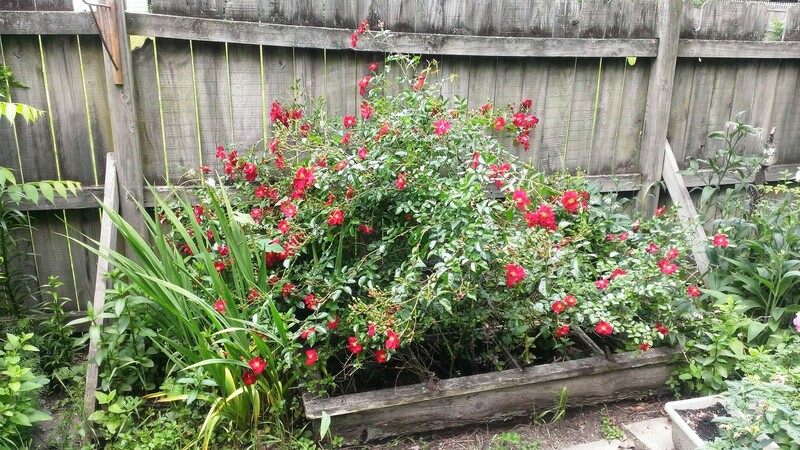 I thought I’d show a few photos of our tiny, in-the-city plot. And the formatting is giving me fits. Red simple roses in an old frost box. Our wooden fence is due for replacing but I like its weathered look. There is comfrey to the right and crocosimia and lilies to the left. 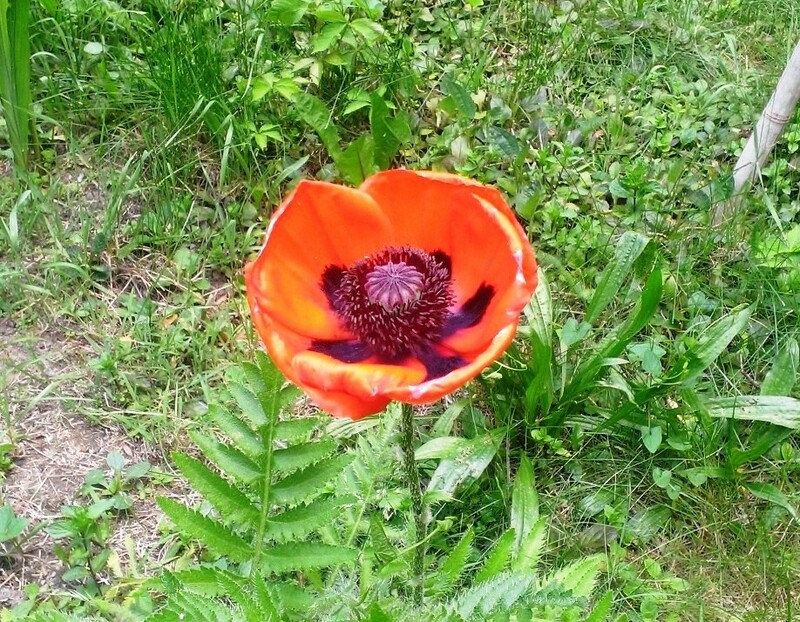 Our garden is mostly shady, very nice in the hot summer but not a lot of things like to grow there. 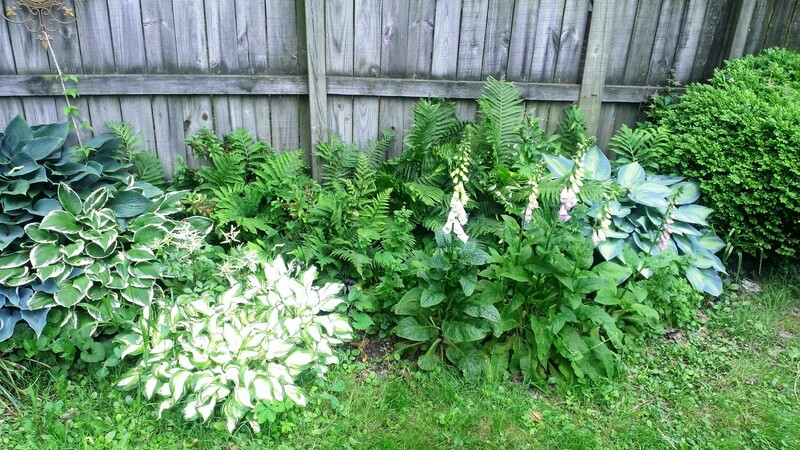 here is a bed of hostas, ferns and foxgloves. The hostas and ferns seem to be locked in a death match to see who can choke the other out. I do have some primroses but they are under the crazed foliage. 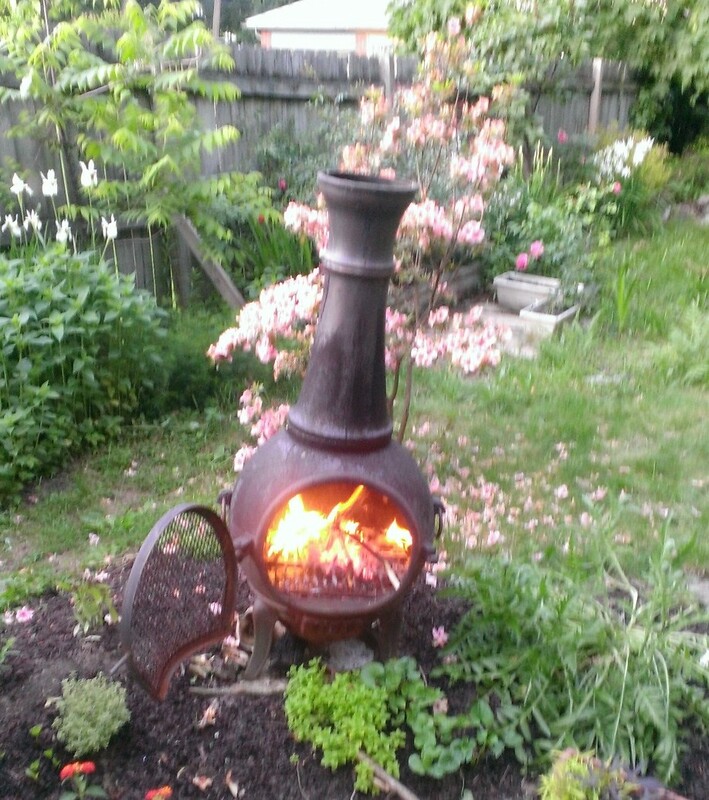 A slightly blurry photo of our very nifty chimenea, cast iron outdoor fireplace. We were enjoying a little homemade mead so that might be the reason for the blur. This night, May 26, we saw our first bats of the year which made me happy. Pennsylvania bats are having a rough time with whitenose syndrome. We do have a bat box but the bats do not care. There are too many other good places for them to roost. We also saw a lovely bolide in the north sky shooting from east to west, actinic white in color (report about it here). 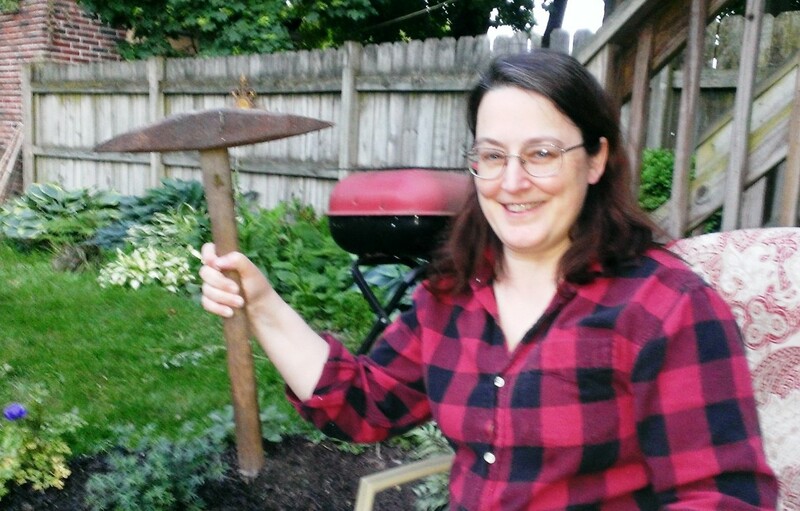 And, for those who are curious about what Vel looks like, a picture of very pale, very casual-looking me holding a rather curious tool I found on my folks’ farm. It’s a pick for mining coal in small very dangerous homemade mines that farmers had back in the early 20th and late 19th centuries. Of course, it would make a great weapon for your favorite dwarf! It weighs about 20 pounds, and it extremely pointy on both ends. We use it to break kindling. 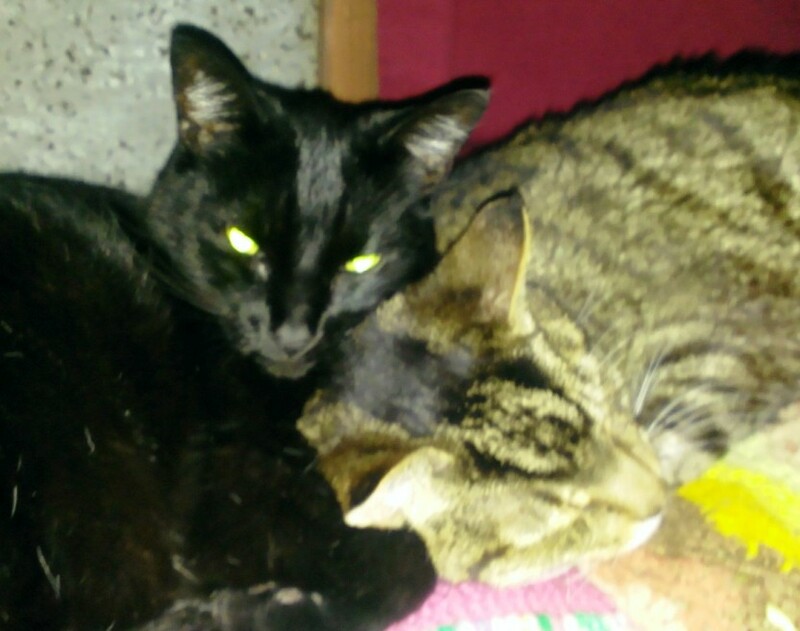 Finally, requisite cat photo of evil Mystra and her brother Grendel. Next Post Not Polite Dinner Conversation – Pulpit Freedom Sunday is back and I’m glad! For a boss who comes out very tough on them theists, you really look quite soft 😛 and gorgeous! And that fire place is awesome. It is one of those one needs on a cold evening when you want to spend time outdoors downing a few cold beers and a bbq! we have been known to go out in November (fairly cold here in PA, though warmer each year thanks to global warming) and make a fire in the garden.